We specialize in the manufacture, supply and trade of Nailing Machines. These machines are broadly used in the industries and are highly durable. Further, these machines are excellent energy savers and give excellent output for long period of time. 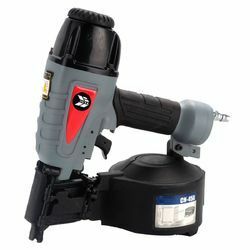 Ours is a trusted name in the market that manufactures, exports and trades a massive collection of Pneumatic Nailers. The proffered assortment is manufactured using premium quality raw materials to offer flawlessness. Made available in different specifications, these nailers and coil nails are vastly desired due to their robustness, durability and corrosion resistance. Looking for Nailing Machines ?